The National Alcohol Strategy (NAS) is a document that would guide governments in their efforts to tackle alcohol harm. Australia has been without such a strategy since 2011. But now consultations are being undertaken to remedy that omission and finalise the adoption of the National Alcohol Strategy 2018-2026 before the year is out. Today in Canberra public health experts and alcohol industry representatives are attending a NAS Roundtable, but a new report released by the Foundation for Alcohol Research and Education (FARE) has highlighted the very real danger giving the industry a seat at the table. An analysis of alcohol industry submissions to the NAS consultation, released on 24 July, has exposed the lengths the alcohol industry will go to attack, undermine and subvert the development of alcohol policy measures that would reduce alcohol harm and save lives. FARE Chief Executive Michael Thorn says the examination of the 17 industry submissions including those from the Australian Hotels Association, Alcohol Beverages Australia, DrinkWise, Winemakers’ Federation of Australia, and Brewers Association of Australia reveal in their consistency a high level of coordination and a common willingness to deceive the public, deny the evidence, and further delay the advancement of life-saving alcohol policy reform. On Drink Tank today, Professor Kypros Kypri, Michael Thorn, and Dr John Crozier agree that for the National Alcohol Strategy to have any chance of success, the alcohol industry must be kept clear, and that overcoming Australia’s burden of alcohol harm is a responsibility shared by the Commonwealth, state and territory governments. Alcohol consumption is behind only smoking and obesity among leading contributors to the burden of disease in Australia  and was estimated to cost $15.3 billion in 2008 , 1.5% of gross domestic product. This understates the true cost, by not accounting for harm to people other than the drinker (e.g. partners suffering domestic violence), estimated to cost $20.8 billion in 2010 . Late last year, the Ministerial Drug and Alcohol Forum, convened by the Council of Australian Governments, circulated a Consultation Draft of the National Alcohol Strategy 2018–2026 . In our federal system, responsibilities for the determinants of alcohol harm, namely: price, availability and promotion, are unhelpfully divided between tiers of government. The last decade has seen a few alcohol policy successes against a backdrop of weakening controls, and no sense of coherence in approach. In 2014, New South Wales moved unexpectedly, against immense industry pressure, to restrict late-night alcohol sales in Sydney, substantially reducing the incidence of assault; and Queensland followed by introducing state-wide restrictions in 2016 . The Northern Territory recently decided to adopt a floor price  showing that it may be possible to counteract a Commonwealth alcohol tax regime that permits wine to be sold so cheaply that people can easily afford to drink themselves to death. In this period, the Commonwealth has resisted calls based on scientific evidence and strong public support, to restrict the exposure of children to alcohol promotions. 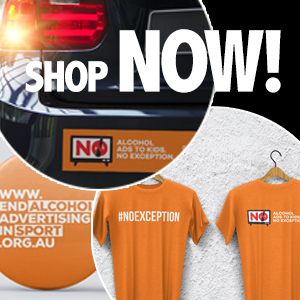 Alcohol advertisements remain prominent in weekend daytime sport broadcasts, and the Government permitted alcohol advertising during all sport broadcasts (not only live), exposing millions of children to more alcohol promotion . States have failed to address alcohol advertising in public space, such as at bus stops and on billboards. Meanwhile, state and federal governments blame each other for inaction. Health Minister Greg Hunt deserves credit for moving to end the hiatus since the last national strategy lapsed in 2011. A signal of genuine commitment from the Commonwealth is vital for the burden of alcohol to be substantially reduced, and a national strategy with buy-in from states and territories is the place to start. With a deadline for submissions in February 2018, the Strategy was due to be signed-off by all governments mid-year. Yet recent reports suggest Minister Hunt is having second thoughts. Under pressure from the alcohol industry, who naturally object to many of the proposed reforms, the Minister is reported to have urged the states and territories to collaborate with industry on the final form of the Strategy . This is despite a statement of principle in the Consultation Draft that ‘Australia does not support any ongoing role for industry in setting or developing national alcohol policy’ . The last time the Commonwealth gave serious attention to alcohol, in 2005–2006, the industry was given the same status as health experts, constituting an advisory committee. A draft of the National Alcohol Strategy 2006–2009, sent to the health advisory committee (of which the first author was a member), had the subtitle: ‘Developing Our Drinking Culture’, and the resulting strategy was ineffectual. Commissioning an independent review of progress after the first 3 years. Australian Institute of Health and Welfare. Australian burden of disease study: impact and causes of illness and death in Australia 2011. Collins DJ, Lapsley HM, University of New South Wales, National Drug Strategy (Australia), Australia. Dept. of Health and Ageing. The costs of tobacco, alcohol and illicit drug abuse to Australian society in 2004/05. [Canberra: Dept. of Health and Ageing]; 2008. Laslett A, Catalano P, Chikritzhs T, Dale C, Ferris J, Jainullabudeen T, et al. The range and magnitude of alcohol’s harm to others. Fitzroy, Victoria: AER Centre for Alcohol Policy Research, Turning Point Alcohol and Drug Centre, Eastern Health, 2010. Department of Health. Consultation draft National Alcohol Strategy 2018–2026. Canberra: Commonwealth of Australia, 2017. Kypri K. Science, politics, and the play of chance in recent Australian drinking law changes. Drug Alcohol Rev 2016;35:657–60. NT Government. NT government position on alcohol policies and legislation review final report’s recommendations. Darwin: Northern Territory Government, 2018. Carr S, O’Brien KS, Ferris J et al. Child and adolescent exposure to alcohol advertising in Australia’s major televised sports. Drug Alcohol Rev 2016;35:406–11. Packham B. Alcohol industry gets say on booze controls. The Australian. 9 April 2018. Kypri K. Should scientists work with industry on alcohol policy? The Conversation. 2015; https://theconversation.com/12 January. Chan M. Opening address at the 8th Global Conference on Health Promotion, Helsinki, Finland, 10 June [Internet]. 2013. McNamara K, Knight A, Livingston M et al. Targets and indicators for chronic disease prevention in Australia, Australian Health Policy Collaboration technical paper No. 2015-08. Canberra: AHPC, 2015. This article was first published online in Drug and Alcohol Review on 2 July 2018.